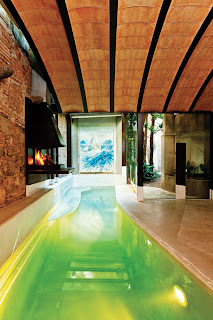 Could we attach a pool house like this to our dream farmhouse? 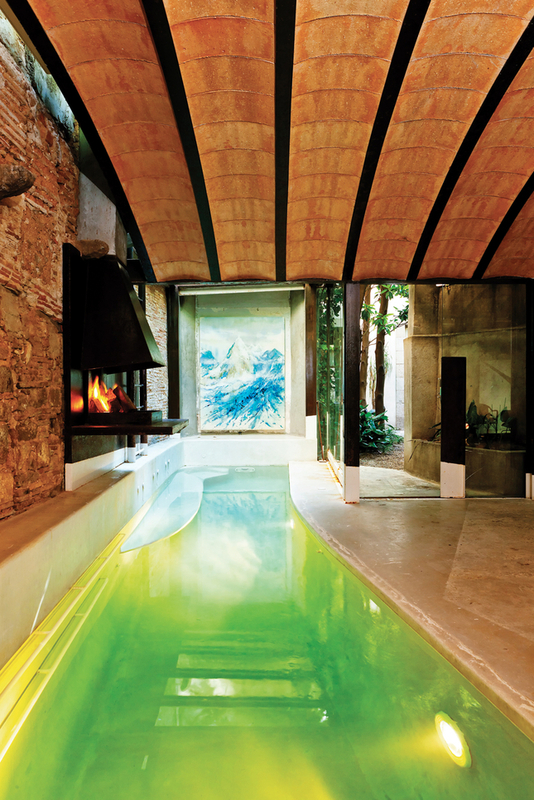 Found on Dwell, this is the 18th century Barcelona flat of architect Benedetta Tagliabue. Why am I attracted to this? I'd like my Spanish ancestry to influence our dining room lined with sangria-coloured walls. 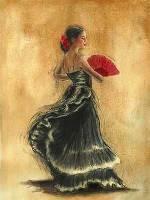 I'm looking for a couple of flamenco paintings or prints to hang over the fireplace. My grandparents used to have black-background bullfighting paintings in their living room. As a girl, I'd display castanets and a pretty flamenco dancer with colourful, flouncy dress on my dresser. Maybe this print by Caroline Gold. After a week of heavy rain, some central Victorian towns are experiencing flooding - the worst in 40 years. After just the first day of torrential rain, last Sunday night and Monday morning, the farm endured the most damage. Amazingly one of our crossings was damaged, the pipes overwhelmed by the power of the water, and some of our roads washed away. The livestock were fine. But my heart goes out to all the people whose homes are damaged. The Goulburn River has not flooded the park in front of our house though, like it did a year ago from last Father's Day.